Jade Ocean condominiums are in big demand nowadays. Buyers are getting excited because of the level of living the condo offers and the sellers are very happy as well because of the appreciating values. But what are the features that make Jade Ocean so popular? The matter of fact is that the tower is well-known for impeccable service, amenities and superb location. The building offers “smart technology” which goes in-line with most modern design and style. 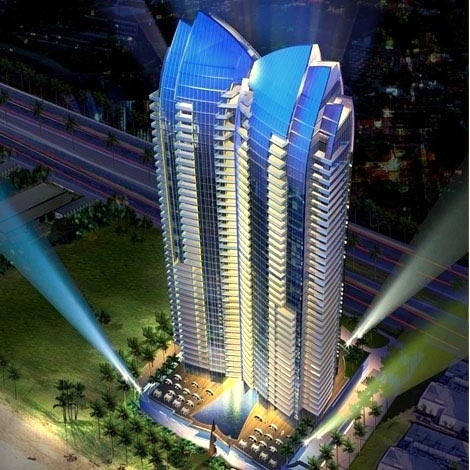 The 51-story building is all glass structure which adds to an already amazing Sunny Isles skyline. In fact, the aesthetic design and appeal present everywhere around the building. The architect is Carlos Ott, a well-known brand in the architecture world. This is the reason there would be wonders visible all across the exterior of the building. Potential buyers of the property first get attracted by the appearance of this ultra-modern building. Aside the exterior appeal of the building, its smart home technology is a sure feature that would make your life a lot easier. One who buys a condo at Jade Ocean will be having access to an in-home touch screen. This touch screen will give them permission to contact the valet, concierge, find places to shop, control the home’s lighting and much more. They can download an app to their smart phones or tablet. That app will give them access to these services even while they are away from the building. This is really like living in the future when you live at Jade Ocean! Multiple amenities are available on the Jade Ocean Condo. You will find infinity edge pools, all around the building. This features an amazing three-storied lobby which offers great views of the ocean. You will get all basic amenities like 24 hour security, valets on duty around the clock, café, private beach club that has cabanas, splash deck for the little ones to enjoy, etc. This is why people are excited to buy a home at Jade Ocean Condo. In fact, you will get a good value on both purchasing it and investing. Even if you don’t want to live there for your own purpose, you can get a good ROI on investment. This has boosted the excitements of people for Jade Ocean Condo for sale. You will find all the reasons to buy a home at Jade Ocean Sunny Isles property. From scenic beauty to tech enabled environment to awesome exterior designs to onsite gymnasiums, you will get all the amenities unbound at this property.